100 Beautiful Sites in the World to Enjoy Your Next Vacation! 100 Beautiful Sites in the World to Enjoy Your Visit! 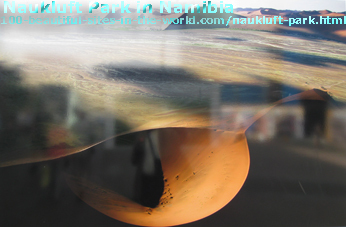 During one of my travels, I have seen 100 beautiful sites in the world on an open street exhibition, called also air exhibition. There is no such name as hundred beautiful sites in the world associated with the air exhibition. The beautiful pictures attracted me and unknown spirits from all those beautiful places combined touched me, so I found myself mesmerized, my right hand slipped into the Hitachi camcorder bag that was hanging on my shoulder and I began taking shots of those beautiful photos. The idea of 100 beautiful sites in the world jumped to my head and I could possibly see 100 pages about those beautiful places rolling into my head from page 1 to page 100. I got also some shots from the stickers of those beautiful pictures to remind me of the names of those 100 beautiful places in the world and some other shots from excerpts of those locations. When my daughter saw I was getting to work, she kept silent for a while and then began to comment on the most 100 beautiful locations in the world, giving me more ideas while I was stumbling from one beautiful sight in the world to another. Well, I have given her this website when she started her education at the university to continue working on it a couple of months from the day I started it. So, she could find something that works to rely on it when she graduates. The air exhibition was an environmental project carried by Co+Life A/S under the title of "100 Places to Remember Before they Disappear", which is also a title of a book that the project sought to market. It was aspiring enough to raise my environmental awareness. Those 100 beautiful sites in the world are fascinating, but they collectively face environmental threats, the global warming causes, as the project envisages. So, that was the first motive for me to take this theme to continue my environmental efforts. Threatening occurrences are registered and calls for actions to protect the entire earth have risen in the last decades. International environmental conferences are still running to reduce carbon emissions. The late conference was the failed conference of Copenhagen, Denmark, where continuous demonstrations ran through the sessions of the conference. Read about Copenhagen climate demonstration here. While working on those beautiful photos, I thoughts of getting more information about those places and I knew from the beginning where I will find the information needed to build such passion about something I was doing through 20 years of my life. However, you will read more information and see pictures I have taken from those pictures on the exhibition. The website, 100 Beautiful Sites in the World describes both the beauty of those places, and the impacts of global warming on them, and on the human and natural resources and animal species. Here is some more information at 100 beautiful sights, to keep this page short. 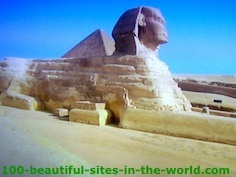 That was the first idea of the 100 beautiful sites in the world. I thought also of using my experiences and passion as a person who loves the nature and beautiful places here. As an environment protection activist, I thought of using the process, I have taken as burden to build the Environment Organization in Eritrea and continue in this direction to build another environmental base of activities. I thought of this website to serve protecting beautiful places in the world in addition to attracting people to visit those beautiful locations in the world. "100 Places to Remember Before they Disappear " and other relevant resources. I worked in two languages I know and a third language that I do not know, using some translation services, comparing between them, adding more facts about those beautiful places in the world and taking only the best information to develop this theme. Then the work in the 100 beautiful sites in the world evolves and becomes more interesting. Here the idea to shift a little to strengthen this project by some fundraising vehicles to drive monetizing it and pay for the costs came into my mind. Here is where I added some beautiful resorts, accommodations, tourists' attractions and many other relevant references. However, I still want from this website to serve protecting beautiful places in the world in addition to attracting people to visit those beautiful locations in the world. Therefore, the 100 Beautiful Sites in the World includes many resorts, beautiful beaches, beautiful hotels, attractive touristy places and encourages people to write about their cities so we could all learn from sharing and find good information about those beautiful sites in the world. I did many searches to collect additional information about those beautiful sites in the world and then publish this data here for those who would like to read about beautiful places to enjoy. Thanks to Wikipedia, Google Maps, UNSCO, my journalistic archives and some other sources. 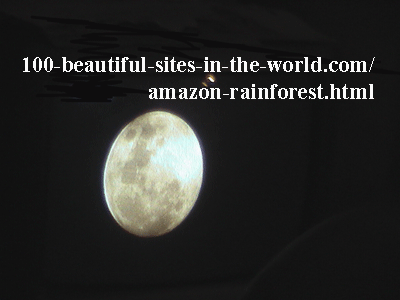 All the updates of the 100 beautiful sites in the world appear at the 100 beautiful sites blog. You can read the blog for quick reviews, share it and comment on the posts. So, if you have been at any one of those hundred beautiful locations in the world, take this opportunity to write about it. Let us know your first impression and your late conclusion. Bring the light in and have million thanks, my buddy. Other visitors and I will thank you for this. You can of course click on the orange button at the left to subscribe to the website. Please share the love. Click on "Enjoy this page? Please pay it forward" at the bottom to know how to link to the website. Thanks. 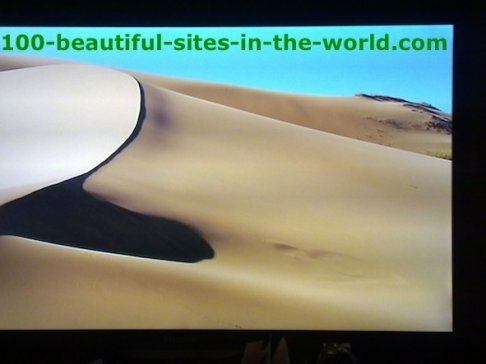 Watch the series of these videos on other pages, like the 100 Beautiful Sites in the World and share the website. Many thanks. "Solo Build It" on the image bar at the bottom of this page empowers the 100 BEAUTIFUL SITES IN THE WORLD. "Solo Build It" is about building your passion a successful network online. It has strong website building and optimizing tools, I have never seen elsewhere. Thanks to "Solo Build It".